Hi! 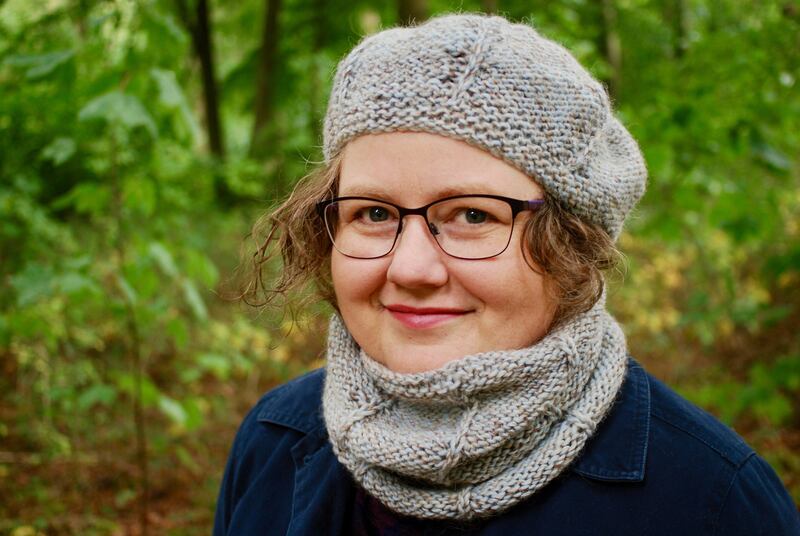 I'm Hannah, established knitting tutor for new and experienced knitters alike. I'll support your challenges and ambitions in the yarn-based world and guide you with the perspective of a 40yrs knitter and the calmness of a yogi sitting on a mountainside. You pottered around the local yarn store and as if in a dream found some gorgeously radiant yarn, with fibres that mingled and flowed with Autumnal colour and delicious tweedy bobbles, that just oozed Outlander sophistication. Then a pair of needles- that looked just like the ones your Gran used to knit with- shone from afar and almost leapt into your arms. This was going to be an absolute Hermione Granger elf-hat experience. The fabric will fly off your needles as if by magic. The scarf you envision wrapping around your shoulders will be keeping you warm in just two week's time and you'll be the star of the water cooler before you know it! ...which then gave you so many options that your mind was in such a spin you spent 3 hours watching a live-streamed Tony Robbins conference instead? With almost 40 years of knitting experience, I've seen a few things in the world of yarn. I've made mistakes, climbed metaphorical mountains and learned techniques by teaching myself and being guided by others. 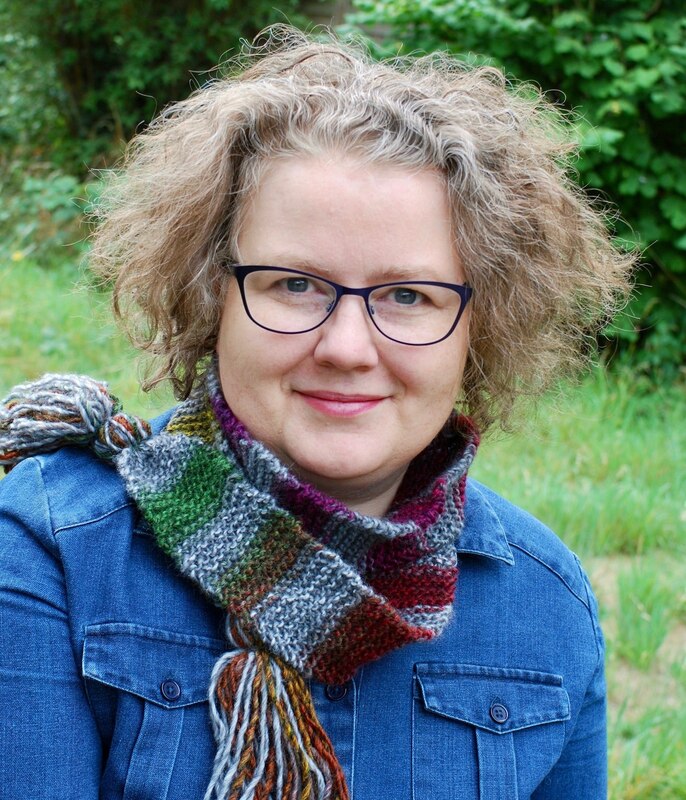 My approach to teaching knitting and tutoring within the Knit With Hannah community comes from other experiences in my life, including most prominently the chronic ill health I was first diagnosed with at the age of 12. The steps I've taken to make those disabilities literal inspirations, to make what seems complicated and out of reach completely realistic and achievable, is what you'll notice as you join us. I've needed to take the larger perspective into account always, as one day at a time improvements or mishaps can give clues to how my weeks, months and years might change. I'm also a details kid as the smallest thing can make a difference when dealing with neurological and immune-system illnesses. When I look at knitting I see the small steps- the tiny stitches, the few rows- blossoming into finished pieces to be marvelled and treasured. I see what appears like a marathon ahead with a blanket pattern in front of me, to be nothing more than a delicious recipe of small ingredients, a meal of multiple courses to be relished one mouthful at a time. And that's how I guide you. You'll see how much you can achieve, whether that's learning new techniques, decluttering your yarn, planning your knits for Christmas or simply picking a pattern and seeing it through to conclusion (you'll see very few UFOs, UnFinished Objects, around here!!!). "Hannah is organized with an exceptional attention to detail. Her high standards will offer you a result that is streamlined and easy to implement. " How am I different to other knitting teachers? Very obviously no knitter is the same as any other. All knitters are you-nique! But as I said above, I have things in my life that guide and inspire the way I teach. And if these things inspire you too, we're a perfect match! Like Ron and Hermione, or eggs and bacon! Sci-Fi and time-travel is my jam too. I watch Doctor Who, Stranger Things, Humans and Timeless. And thanks to the wonders of Fringe and the marvels of Walter, Peter and Olivia, I now have 'visit Boston and Cambridge' very much on my bucket list. Don't get me wrong I'm a stickler for Anne With An E, The Gilmore Girls, The Crown and The Great British Sewing Bee too! I’ve been practising yoga since 2012. It’s part of my every day now, whether that’s meditation, asana (mat-based-poses), pranayama (breath practice) or self-compassion. Yoga has become part of my life that supports and improves my health and well-being and I wouldn’t be without it. P.S. I doodle where and whenever I can- as this photo from 2016 shows! Just in case you hadn’t guessed already… I’m British! I watch Wimbledon, am happy to stand in a queue, have a gorgeous accent, darling, and I cook dumplings, drop scones and cottage pie. I have lavender growing in our rambling country-cottage garden and pick cox apples to make chutney, pies and crumbles. I live in the cute, green, ambling county of Hampshire with my husband, Nick. Our favourite shopping haunt is the nearby city of Winchester, our favourite coffee shop is in our small home town of Whitchurch and favourite day by the sea is Lymington if we're home, or Sidmouth if we're planning a holiday. I love a good story and the Harry Potter series is one of my favourites, probably because of the twisting plot lines and attention to detail (note the metaphorical large blanket pattern and tiny stitches making up the whole perspective here too!) and I also love how the Harry Potter tales are infused with knitting. Not one Christmas goes by without the Weasley jumpers being handed out and Hermione and Ginny learn to knit so they can give Dobby and the other unwitting houselves hats and socks. I was even inspired to write my own series of books about teenagers time travelling in an English village. Hang around with me long enough and I’ll have edited and released them for every YA fiction lover to enjoy too. Watch out for Ruby, Tom, Alice and Jodie in a bookstore near you! 1. a pair of feather-fan wraps which I knitted in stripes of different styles and weights of yarn. 2. a lion hand puppet with a loop-stitch mane, that I knitted for my Girl Guide knitters badge. 3. a warm navy blue chunky beret with a crocheted peak, that I wear winter, after winter. 4. a cardigan in dark blue Debbie Bliss, tweed aran yarn, with wrapped front, a cosy collar and big buttons. 5. a second cardigan, knitted from the same pattern, in moss-green Debbie Bliss, tweed aran yarn! 6. rusty-orange-coloured fingerless mitts, with cable pattern and long, wrist-hugging ribbed cuff. - that was such perfectly timed knitting for the unusually snowy British winter of 2010-2011. Will you join the crowd and knit with Hannah? 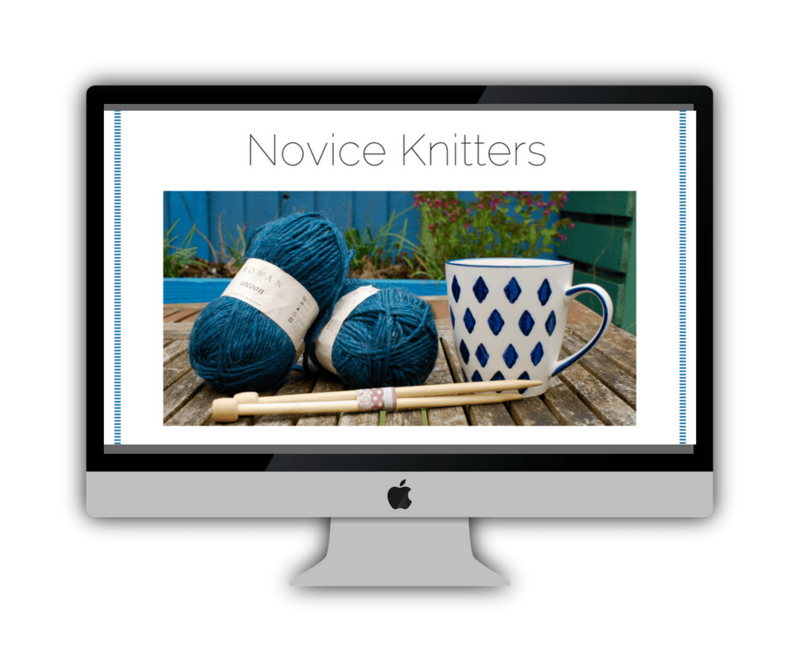 Learn all you need to know as a newbie knitter with this set of courses giving step-by-step video workshops, patterns and tuition. 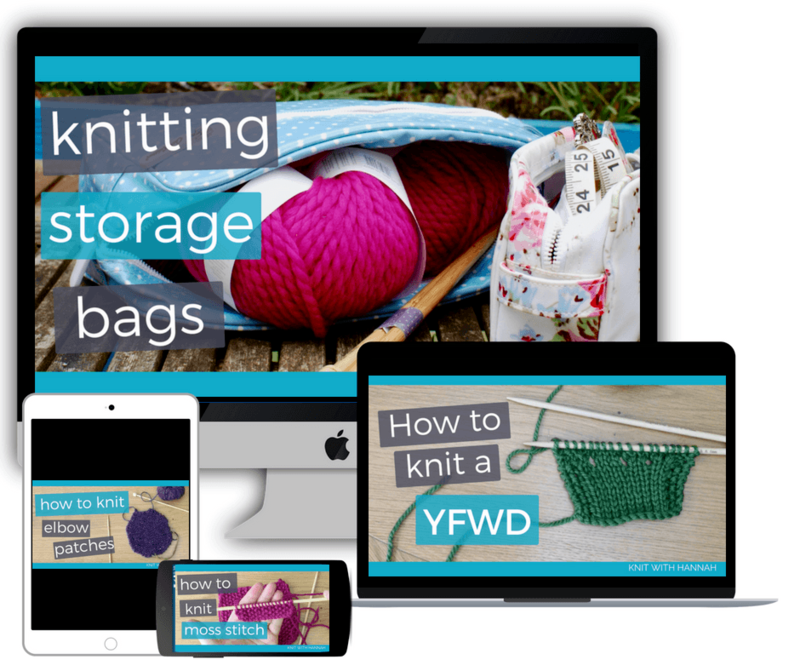 My weekly blog and Youtube channel give you free videos to inspire and challenge your knitting experience. 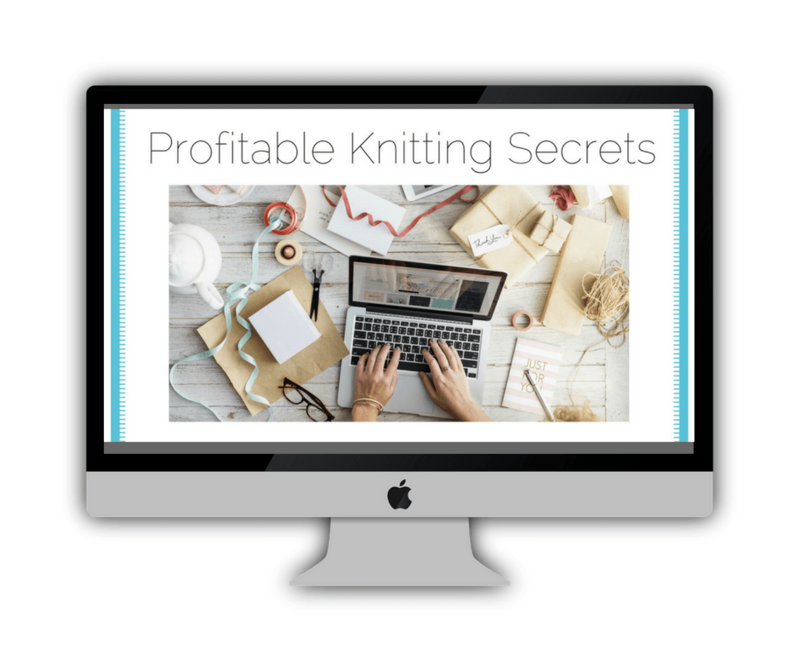 Join the world of knitting for profit with this new course, giving you the inside secrets to selling your handmade knits. 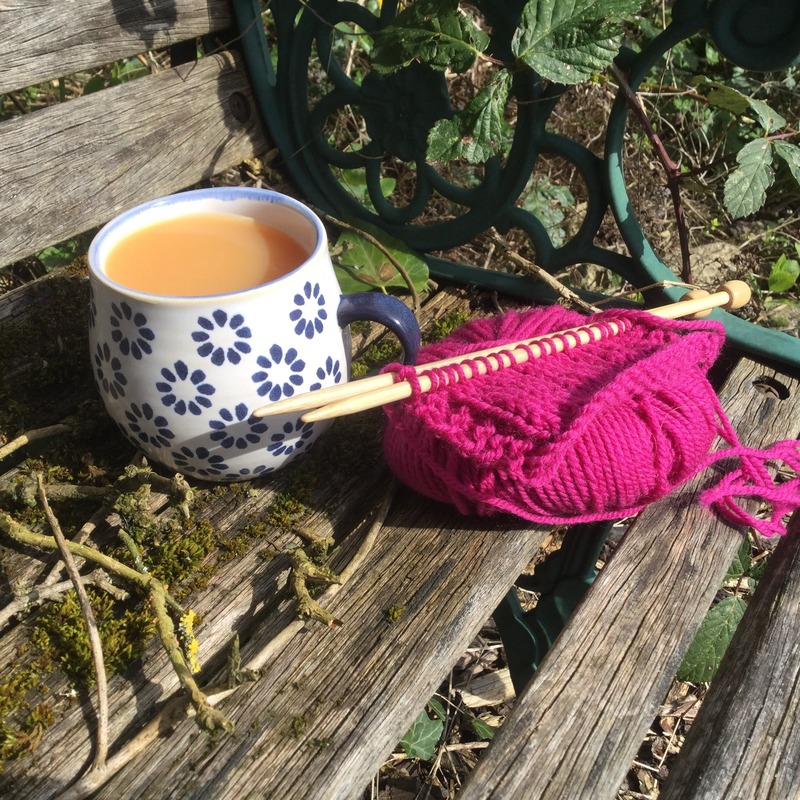 Join Knit With Hannah for weekly knitting natter!